The Dar es Salaam seaport renovation project is currently underway and will roll out to ports in Tanga and Mtwara by July 2014. The renovation includes the installation of an electronic window system that will cut ship dwell time to five days or less from the current nine to 10 days. 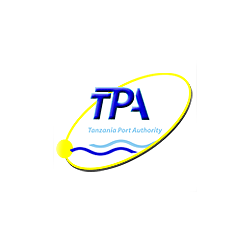 According to the Tanzania Ports Authority (TPA) website, the electronic window system will allow clearing agents to process and handle information electronically rather that physically delivering documents from one office to another; in effecting helping the TPA ‘facilitate international trade through simplifying the flow of information between traders and government institutions’. There are also plans in the works that include installing an Integrated Security System to curb the incidence of theft at the port, as well as deepening and strengthening seven port berths. The Port has a total quay length of 2,000 metres with eleven deep-water berths. It serves the landlocked countries of Malawi, Zambia, Democratic Republic of Congo, Burundi, Rwanda and Uganda.